Hoop Nut #PBA2016 2016 PBA Commissioner's Cup Global Port NLEX Road Warriors PBA PBA Preview #PBA2016 COMMISH CUP PREVIEW: NLEX ROAD WARRIORS vs GLOBALPORT BATANG PIER - FRIDAY NIGHT FIGHT! #PBA2016 COMMISH CUP PREVIEW: NLEX ROAD WARRIORS vs GLOBALPORT BATANG PIER - FRIDAY NIGHT FIGHT! While most people are probably out on gimmicks on this fine Friday night, the Road Warriors and and Batang Pier will collide in a fight that will have serious implications in the quarterfinal race. At 4-4, NLX is mired in the middle, but a win here puts then within reach of the top 4 and even a slight chance at the top 2. Of course, if they lose and fall further, they risk missing the playoffs or being on the wrong end of a twice-to-beat in the next round. As for GLO, they are basically fighting for survival here as a loss puts them on the brink of outright elimination (pls check) from the playoffs. NLX has won 2 of its last 3 games, beating top team MER and bouncing back from a close loss to TNT by upending the Elite. They are certainly looking to win here because they haven’t put together back-to-back Ws yet this conference, and they’ll need all the momentum they can get as their last two assignments are against SMB and ALA — it just doesn’t get tougher than that. 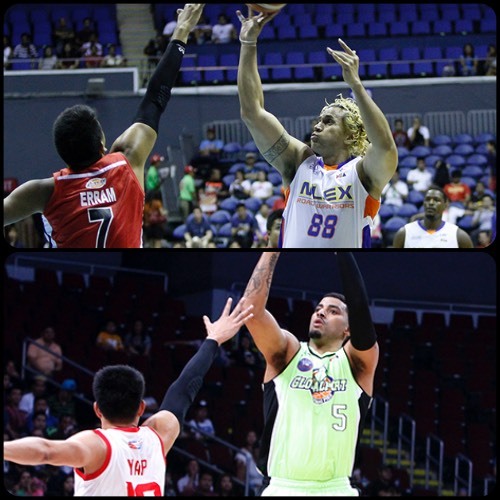 GLO, meanwhile, is still smarting from the absence of its brilliant backcourt tandem of Terrence Romeo and Stanley Pringle. They have lost their last five games, and they have pretty become an after thought this conference after being one of the best teams in the PHL Cup. Guys like Joseph Yeo and Paolo Taha stepped up in their last game, and coach Pido Jarencio will need more guys to do that lest they lost their sixth straight. - Asi Taulava is the heart and soul of the Road Warriors, but he is also their rock in the middle. He played splendidly solid basketball in their win over BLA, putting up a sublime double-double in a dominant showing. He outplayed import MJ Rhett, and he should be equally dangerous in this game against Shawn Taggart and the GLO frontline. - Al Thornton has been one of the most solid imports this conference, and it seems his production has rubbed off on his teammates. He doesn’t need to score a ton every game, which is something we saw in NLX’s last win. The former NBA player scored below his average, but he was still able to contribute signficantly as the locals stepped up to trip up the Elite. When Thornton turns it on, though, the Road Warriors are very tough to handle. - With guys like Asi Taulava and Sean Anthony playing aggressively, NLX was able to score at will in the paint against BLA. If they can do that again here, the Batang Pier — not exactly the biggest team in the field, will have a very tough time adjusting. - One big guy GLO can lean on, though, is import Shawn Taggart. Taggart has been a revelation for coach Pido Jarencio, but, truth be told, he will need to carry much of the load as long as both Stanley Pringle and Terrence Romeo are out. That pretty much means he will have to be this team’s main man till they reach the end of this conference’s campaign. 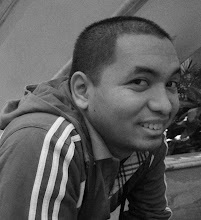 - One local who has stepped up big time for coach Pido, however, is former CSB Blazer Paulo Taha. Taha has seen a rise in his playing time in GLO’s last 4 games, and he has proven that he can hack it with the big boys. His production has gone up significantly, and he has shown that he can be a dependable player for the Batang Pier. He will have his work cut out for him here against NLX, but if he can put up good numbers, anything can happen. - One thing that made life very difficult for the Batang Pier in their latest defeat was trying to keep up in transition. GLO needs to do a better job of defending the fastbreak, else they will be left in the dust. They are one of the worst teams when it comes to transition defense, though, so that’s something the Road Warriors can really exploit. - These former collegiate rivals will match-up well here. Villanueva is one of GLO’s lead guards, while Yeo has taken on a bigger role in the absence of Romeo and Pringle. Villanueva is the better facilitator, while Yeo is the more explosive scorer. If Villanueva can get his teammates going, NLX will have the edge, but if Yeo can score at will, GLO may just snap out of their slump. I love the articles! May I also suggest that you make a reportage on the D-League exploits of Bobby Ray Parks Jr.?